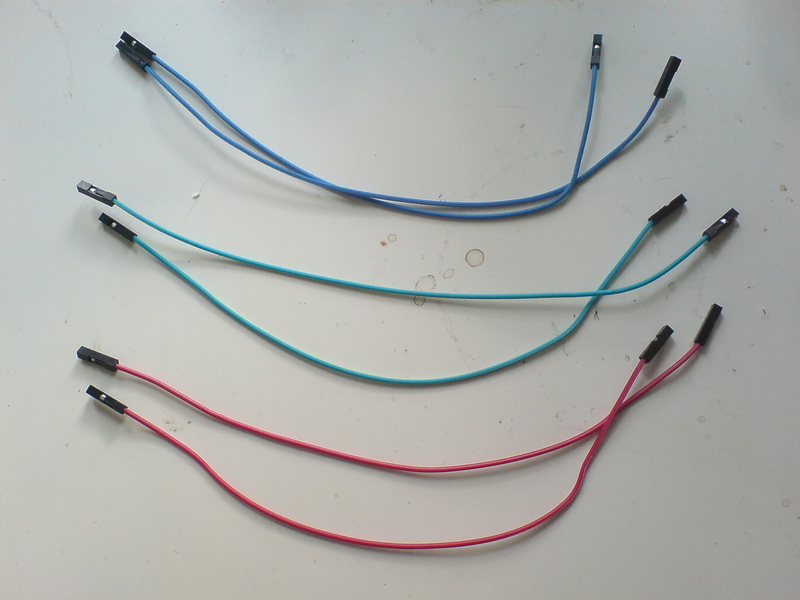 To make the KVS mixer module to mix colors. Step 1: Making a mixer channel The mixer channel is based on a potentiometer which dynamically controls the resistance in a color signal. 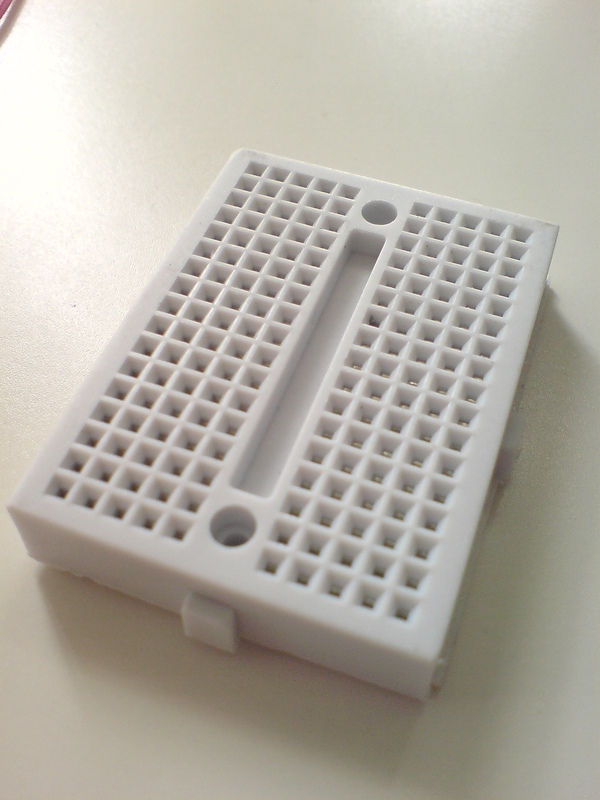 You might have tried adding resistance while you made the KVS splicer. Here we saw that adding a 470 ohm resistor darkens the image on the channel that passes through a resistor. 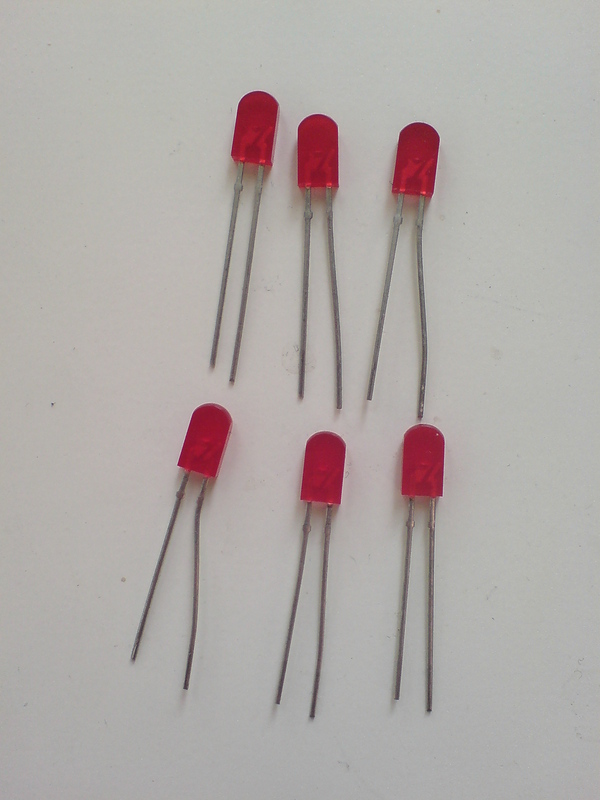 A potentiometer is also a resistor but a variable resistor, meaning that you can change the resistance that the component makes by turning the knob (e.g. from 0 resistance to 1 kohm). 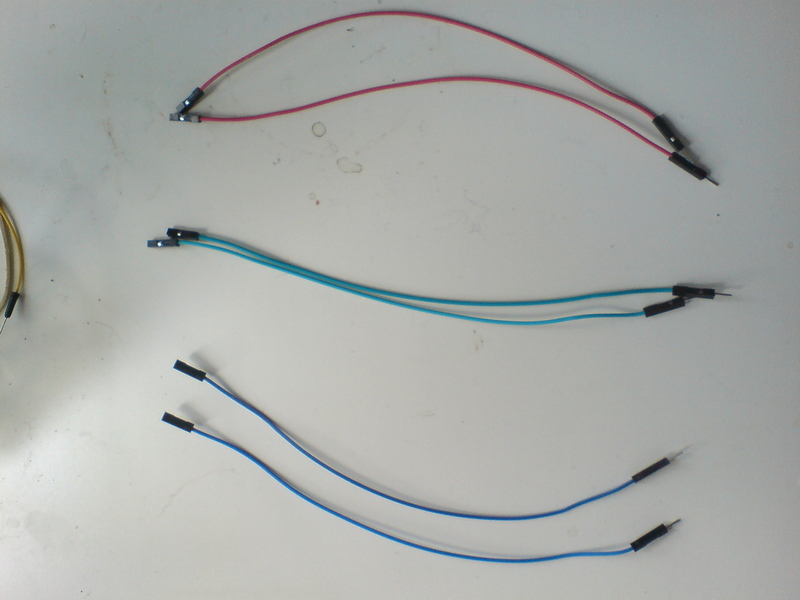 To try this, plug the female-to-female wire into the left pin of the potentiometer, and plug the male-to-female wire into the middle pin of the potentiometer. 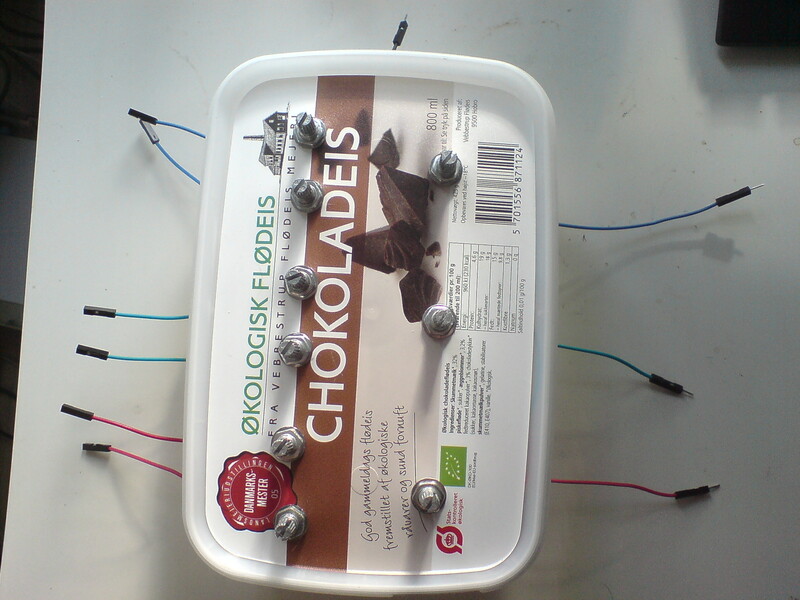 The potentiometer can now regulate the resistance on this connection. While the KVS splitter and the KVS splicer are connected on wires h, v and ground, connect one color channel of the KVS splitter to the female-to-female side of the potentiometer, and the male-to-female side into the KVS splicer. 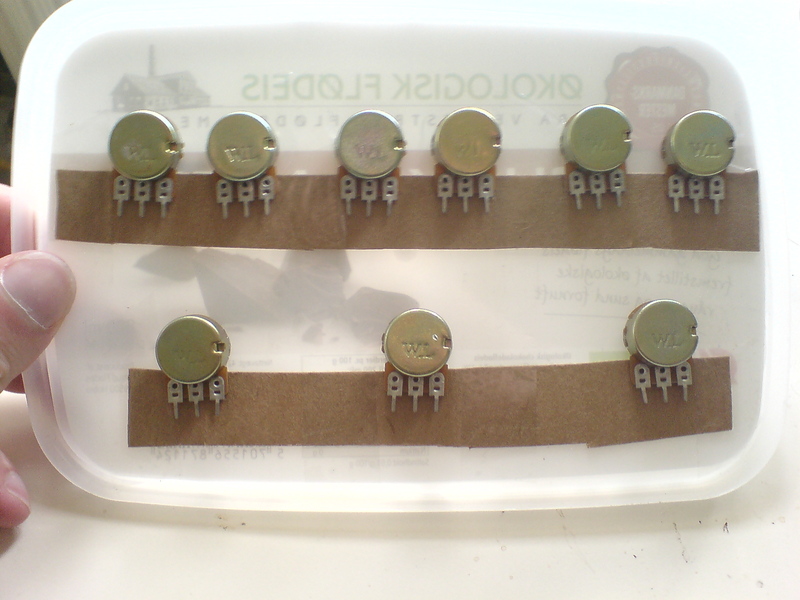 Turn the knob and see how you can brighten and darken the color through this operation. Practical note: What kind of potentiometers are there? Step 2: Mounting Once you've tested each of the mixer channels you want, you're ready to mount it into a box. 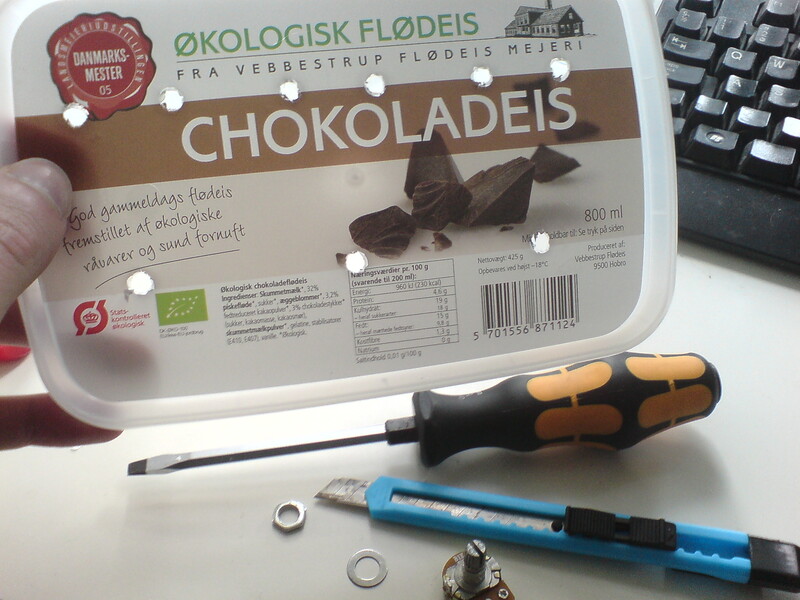 First, I make holes in the bottom of the plastic box for the potentiometer using a screwdriver. 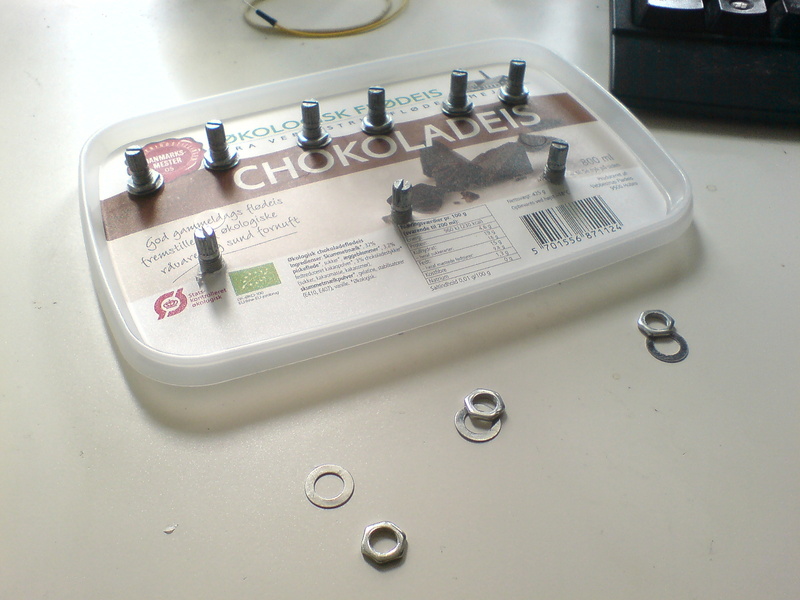 After that, unscrew the shaft, stick the potentiometer through the hole, and mount it with the shaft again. 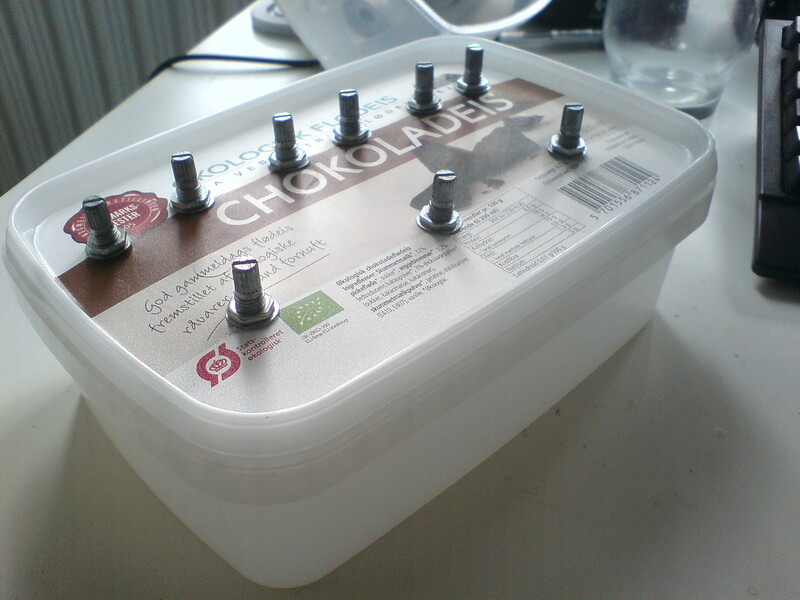 Practical note: How to mount the potentiometer? 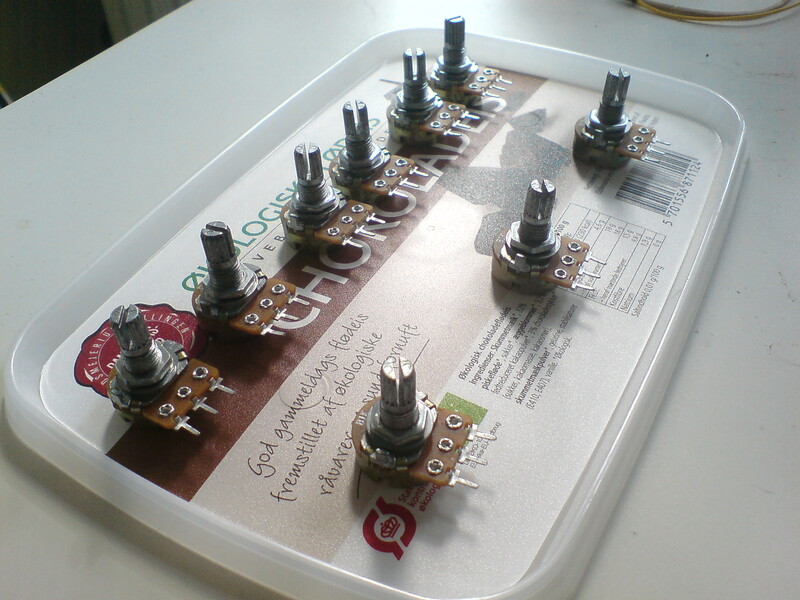 Before you mount the potentiometer make note of where the minimum and maximum positions are. The basic idea is to put a ground input and the signal input on either side of the potmeter with the output in the middle. 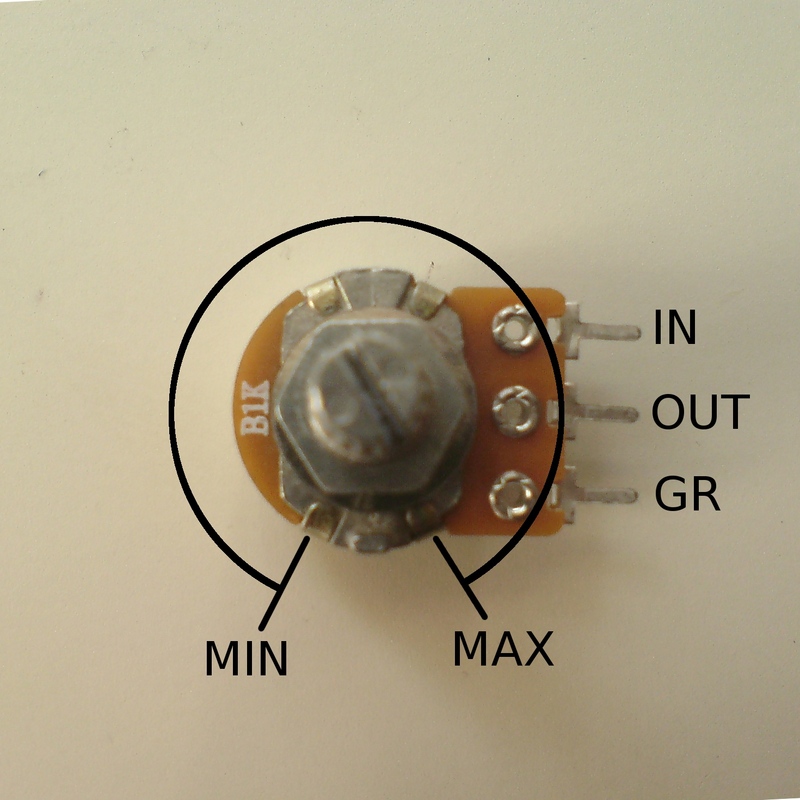 This way, if the knob is turned completely to the minimum position, the output will be ground. If the knob is turned completely to the maximum, the output will be the input. Everything in between varies the balance between ground and signal, meaning that you can "fade" the signal from complete color to (ideally) total black. 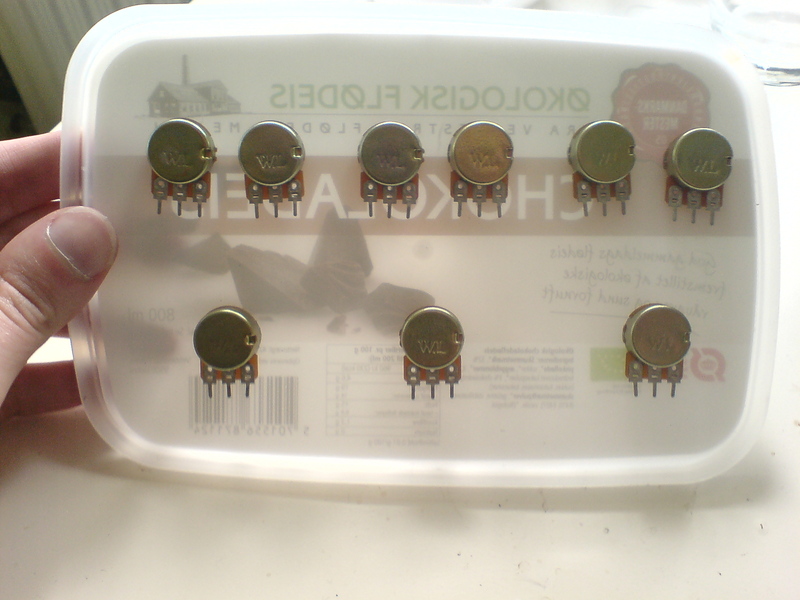 On my potmeter, the minimum and maximum are placed at a right angle to the pins, so I mount it sideways. We will use a ground signal as the input of the other potentiometer terminal, so that we can lower the output even better. 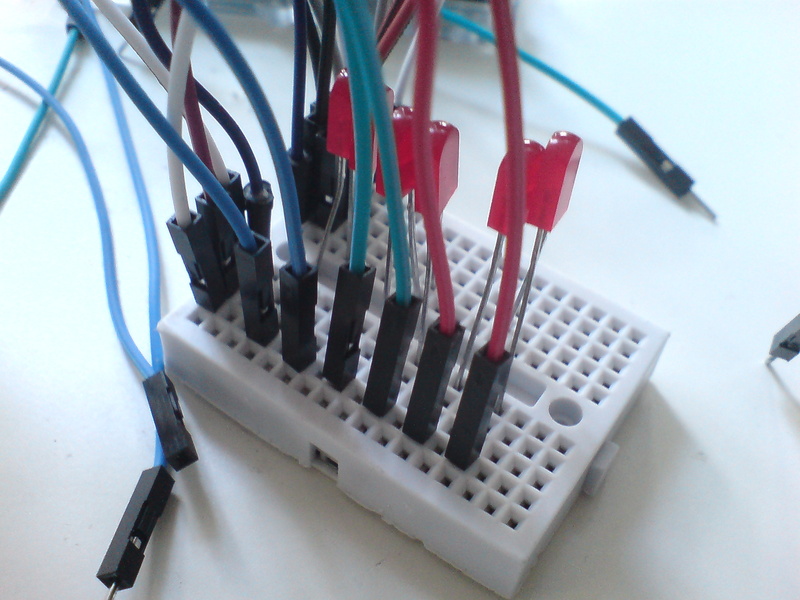 In order to do this, we need a breadboard setup. 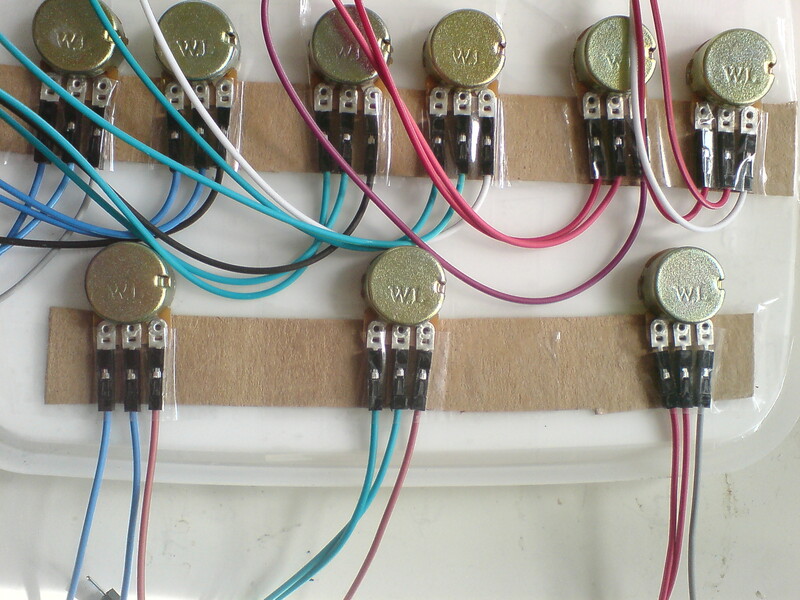 First we connect the wires to each of the three terminals of all the potentiometers. 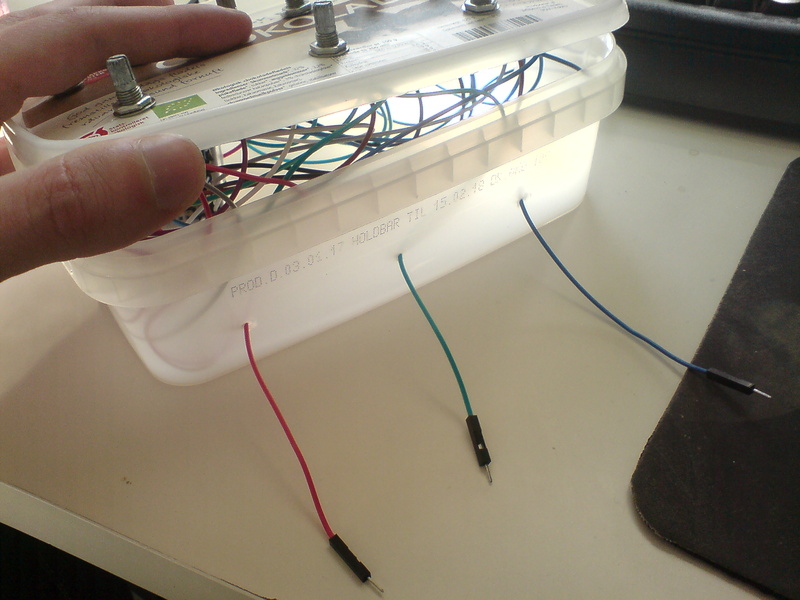 Looking at them from behind (as opposed to knob site), the far right are for ground (use male-to-female wire), the middle is to output (use male-to-female wires), and the left is for input (use female-to-female wires - they go out of the box). 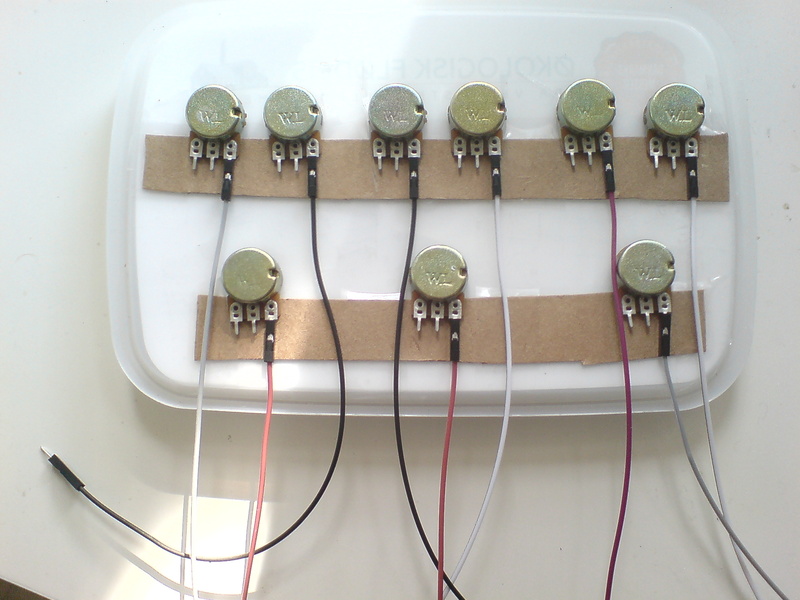 You can use cardboard to hold the wires in the potentiometer, by cutting a support to each potentiometer, and then tape it to the bottom and tape the wires to the cardboard for support. Step 3: Breadboard setup In order to prevent "back fire" in the circuit, we will use two diodes for each mixer, where we connect the two incoming pots to the outgoing pot, in order to make the current run from in to out. 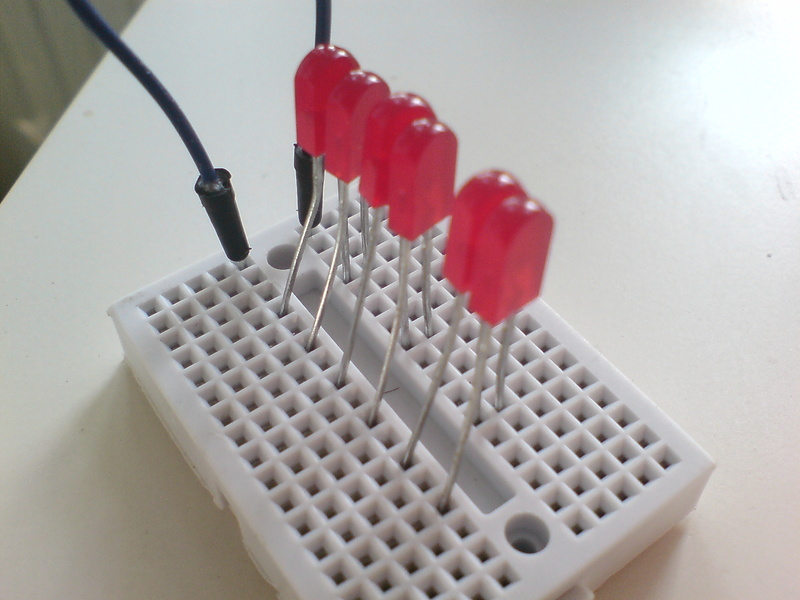 Here I have used LEDs (light-emitting diodes) because I had those at hand, but you should use normal diodes, so that the power is not consumed by the lights. 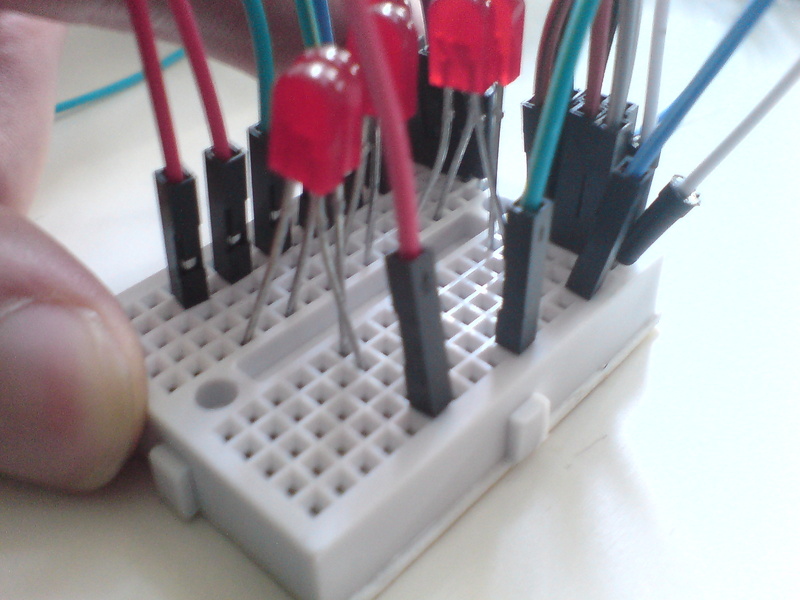 Connect the diodes on the breadboard, so that the power pins (the long leg) have one row on the breadboard each and the ground pins (the short leg) cross and go to the same row. 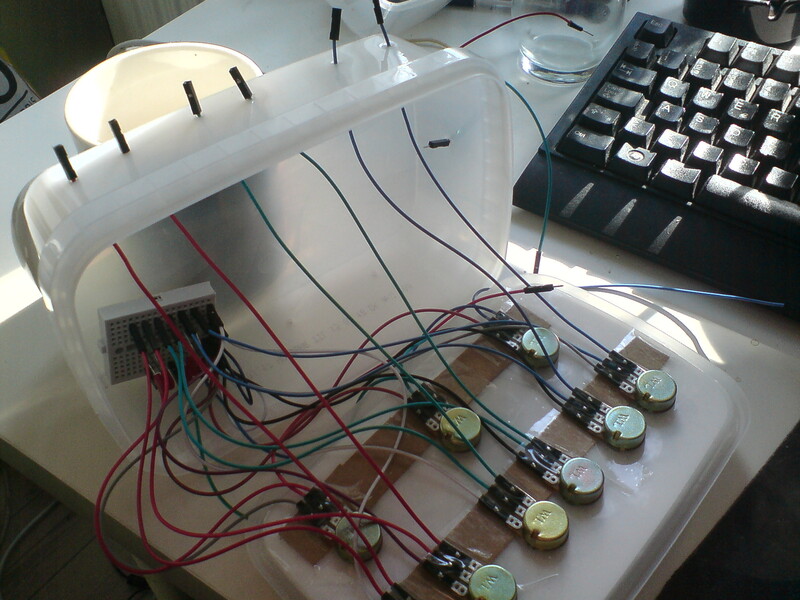 By connecting the output of the two incoming pots to one row each, and the wire, leading to the outgoing pot's input, to the crossed row, the two inputs will be combined in the next pot (if both are active) and their sum will be controlled by this potentiometer as a master control. 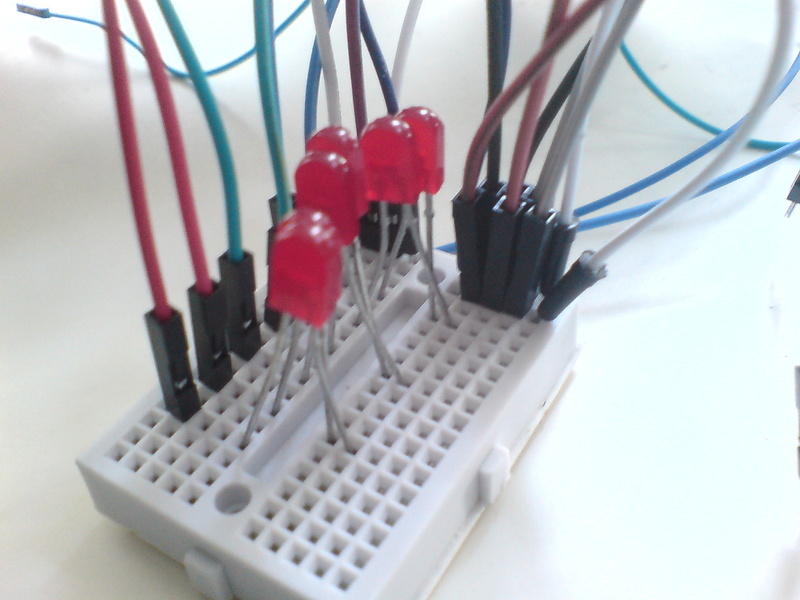 Finally, you should also connect the ground terminal to the breadboard and use one male-to-male wire that goes out of the box to provide ground signal. Step 4: Final touch Last but not least, you need to make wire holes in the sides of the box where the jumper wires can go through - I keep the female-to-female wires on the left and their corresponding male-to-female wires on the right in the same order. 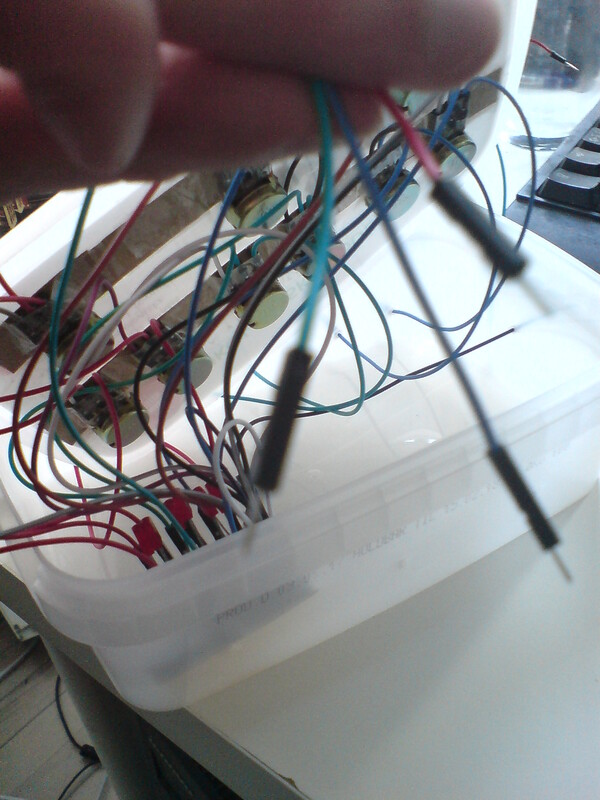 *Detach the pin header* of the wires, stick them through the small holes, and reattach the pin headers. Congratulations That wasn't hard, was it? The KVS mixer will come in handy as we move on, and begin to combine signals from different sources and techniques. 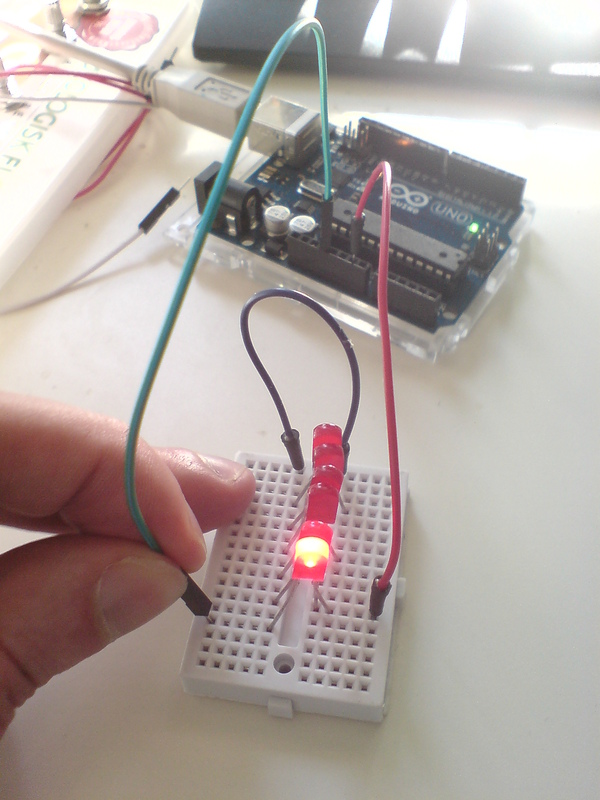 So keep it ready while we move on to the next tutorial about the KVS Arduino module.